This machine is the high-grade product in the high stage machine series, divides the single needle and the double needle two kinds. 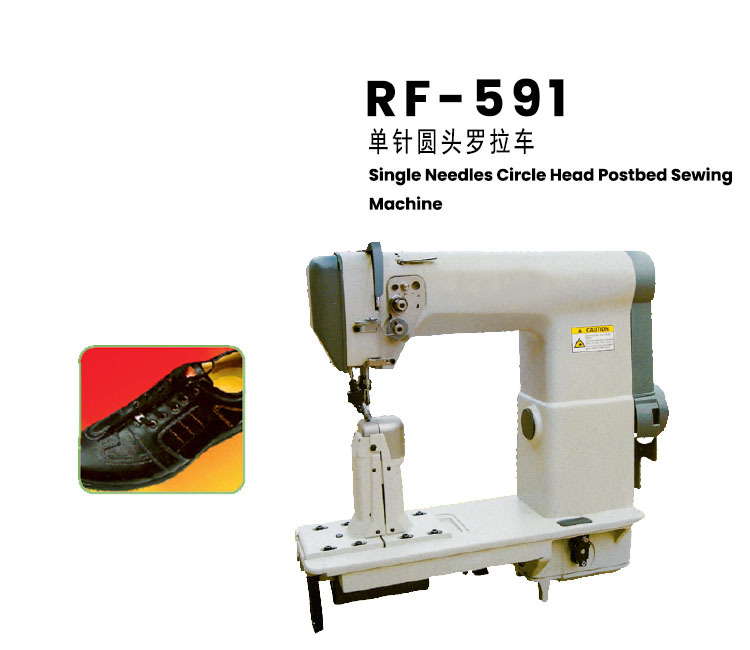 Thread take-up, driving wheel presser, wheel feeding and needle synchronous feeding, vertical rotary shuttle. Hook the thread, form the double thread lock type stitch. The upper and lower shafts are driven by high precision synchronous toothed belt. Needle roller bearings or ball bearings are used in all main parts; push-button needle pitch regulating mechanism; column. This machine has beautiful stitch, smooth running and excellent sewing performance. Sew high-grade leather shoes, bags, gloves, hats, etc.